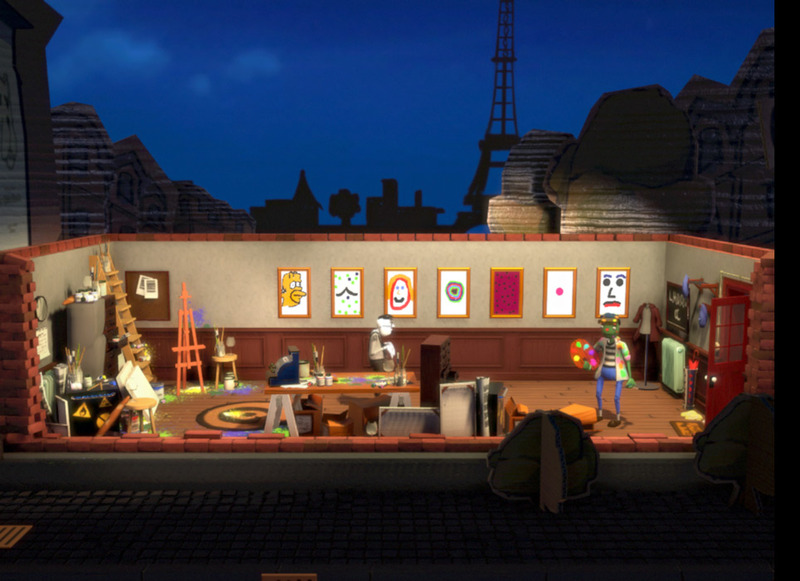 "A really unique and interesting game that looks fantastic"
Passpartout is a beautiful and very unique game in that you play as a French artist working in your gallery and you must paint and sell paintings however your clientele can be quite picky and you will need to try to make paintings that will fit their needs and price ranges, whilst all of this is going on you also have bills to pay (mostly for wine!) and also your rent so you have to make sure you sell enough paintings to cover your bills and rent whilst balancing the quality of paintings and the price ranges to make sure that they sell. You may also find that some customers are much easier pleased than others but even having one customer who loaves your art he will still only buy one or two paintings so you must try to accommodate all of the regular customers who visit your gallery. 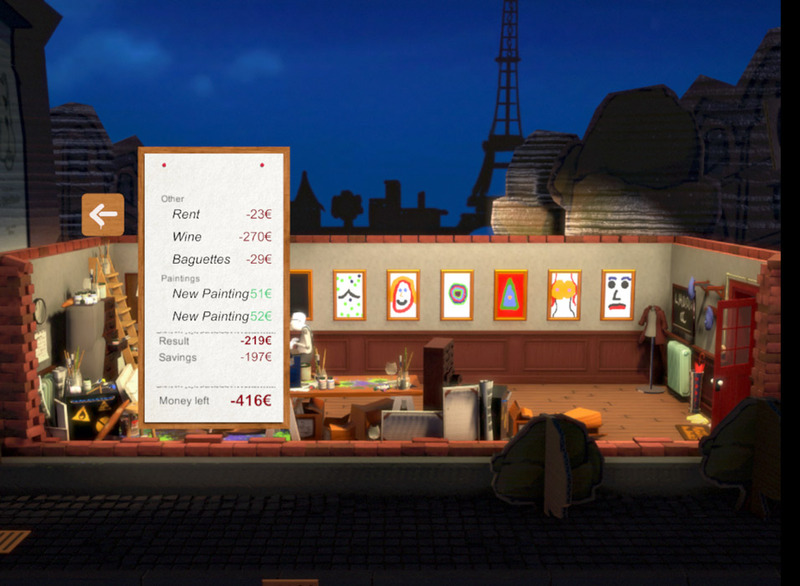 In this alpha version you must sell twenty paintings to win however this is a much harder task than it sounds especially when facing bills all the time. 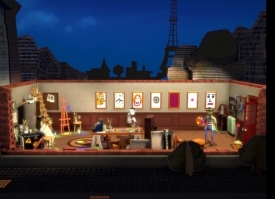 The graphics in the game are absolutely beautiful and it looks really good, the light jingly music adds a therapeutic quality to the game and although the painting options are very simple you can create some pretty cool modern art style pieces and then hope that they sell, it’s also very satisfying when someone actually buys your paintings and enjoys your style but get ready to face some criticism also! 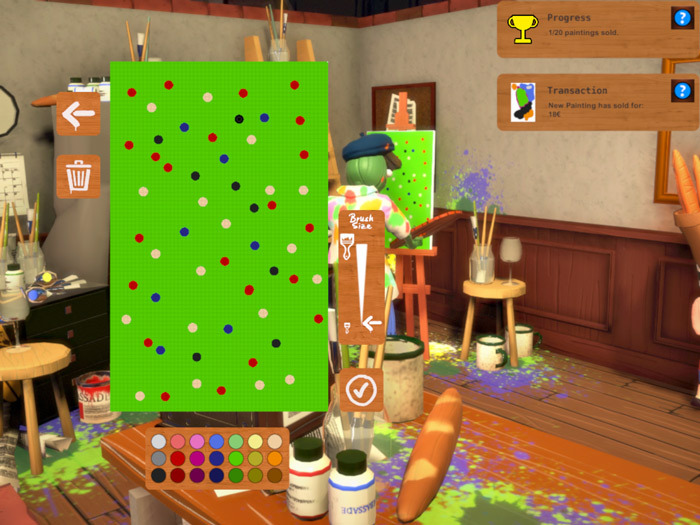 Passpartout is a very different and interesting game that you should have a wonderful time playing. You can download Passpartout here for free.